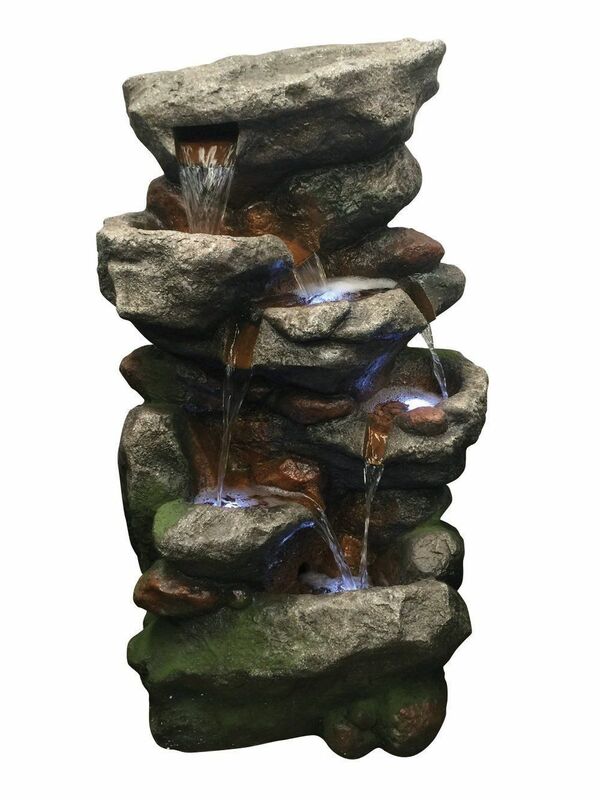 This fully self-contained water feature is suitable for indoor or outdoor use and will add that extra bit of sophistication to its location. 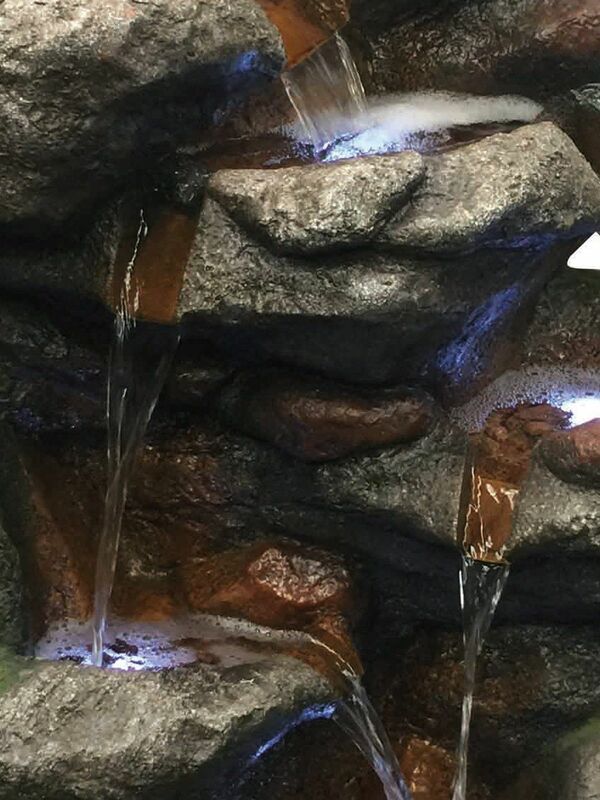 Water is pumped up through the back of the water feature, pushed out the top and then cascades down each of the pools to create a relaxing waterfall sound. Four of the pools are illuminated by LED lights which are included with the water feature, this will give it that extra WOW factor at night.